Clean, Carfax with all Power Options and Reverse Camera. LOW Miles and GREAT MPG! Clean, Carfax with all Power Options and Reverse Camera. 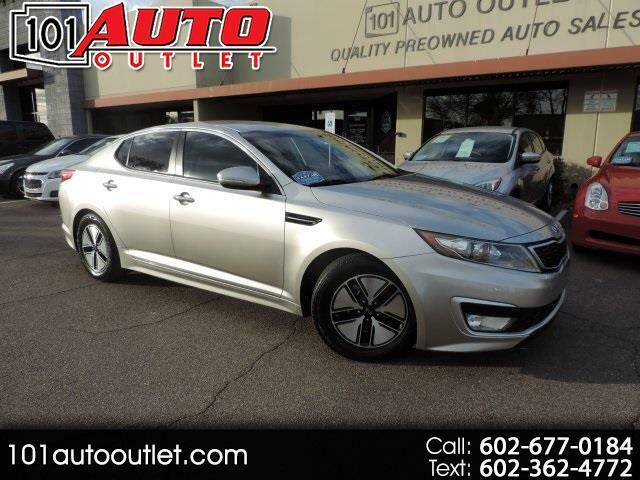 LOW Miles and GREAT MPG!, 4D Sedan, 2.4L I4 MPI Hybrid Electric DOHC, 6-Speed Automatic with Sportmatic, 16 x 6.5 Alloy Wheels. Clean CARFAX. FWD 34/39 City/Highway MPG Odometer is 25304 miles below market average! Message: Thought you might be interested in this 2012 Kia Optima Hybrid.